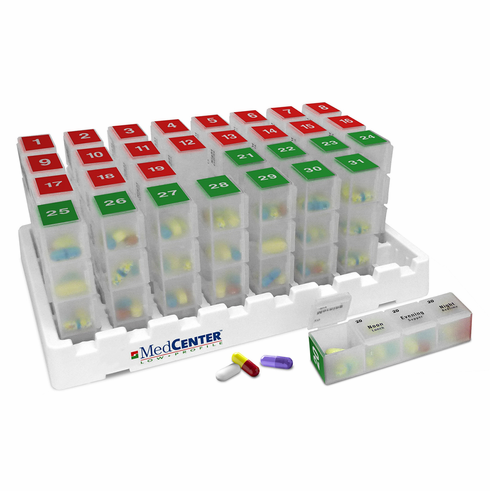 The e-pill MedCenter Monthly 31 x 4 Daily Pillbox allows you to organize a full month�s worth of medications, supplements and/or vitamins at a time in daily pill boxes. Never forget to take your medications or supplements again! This e-pill features thirty-one (31) individual pill boxes that can be removed and taken with you as needed or remain in the 'Parking garage'.